15 years of reputable service, makes Direct Traveller one of the leading specialist independent tour operators in the UK. Offering an unparalleled service in all our specialist destinations from North Cyprus to Turkey, Cuba, Sri Lanka, Croatia, Malta and more... we deliver the best at all destinations. Each year Direct Traveller is praised by many professionals and tourists alike for our exceptional service and commitment to developing the best products. We are constantly striving to ensure every part of your getaway it perfect for all types of holidaymakers that travel individually, in couples or even holidays for groups. this flexibility also applies to the time of year as our holidays are available in all seasons of travel. Direct Traveller is based in the UK. Our registered offices are here, and so is our sales and customer services team. Pop in to our offices in Croydon for a cup of tea, and let us know about your holiday experience. For the most assurance, we also protect our holidays with ATOL and ABTA so you have total peace of mind. Direct Traveller featured in the Sunday Times Virgin Fast Track 100 league tables and awarded for being the 77th Fastest growing company in the UK at Virgin founder Richard Branson’s Hertfordshire home. Direct Traveller is the first & only travel company to launch national British television adverts featuring North Cyprus on ITV, ITV2, CH4 and SKY TV Channels. Our MD was named Turkish Entrepreneur of the year 2012 and was presented his award by Rt. Hon Dr Vince Cable, UK Business Secretary. Direct Traveller was the first travel company to pioneer holidays in North Cyprus with non-stop direct flights to Larnaca in 2003. 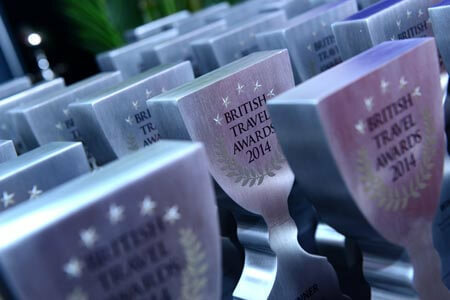 Direct Traveller have won multiple awards at the annual British Travel awards. We have been awarded by the North Cyprus Ministry of Tourism and Hoteliers Association. Direct Traveller have been featured in many publications for our holiday services including the Sunday Times, Daily Telegraph, Mail on Sunday and many more publications for our holiday services. Direct Traveller was the first UK based company to produce an interactive iPhone app, and we still are. Deciding where to go on holiday can sometimes be a bit like standing in the cake aisle at the supermarket. There’s so much choice and everything looks enticing! If you’re swaying towards the temptations of any one of the destinations we offer from holidays in North Cyprus, to Turkey, Cyprus, Malta, Croatia, to further afield in UAE and Sri Lanka, then Direct Traveller can make the decision that little bit easier for you, with an assurance of complete quality. Direct Traveller gives an assurance of complete quality by taking your holiday arrangements seriously and personally. Seriously in that we ensure every aspect of your holiday runs like clockwork by being there with you every step of the way and by being the best at what we do. We take it personally to arrange the finer details of your holiday so that they perfectly suit your preferences. Whether you are concerned about the location of your room, or the contents of your breakfast, we will go beyond our call of duty to try and ensure your requests are met to their finest. This personal attention is the ethos of our service culture at Direct Traveller. We take it personally that you enjoy your holiday. Once you have planned your journey and ready to go – Direct Traveller will be with you every step of the way. Our expert UK travel advisors have firsthand knowledge of our destinations, which is also what makes us unique from other holiday providers. Our on-the-ground approach extends to all areas of our operations. Direct Traveller knows there is simply no substitute for having local staff on the ground, with firsthand experience that goes far beyond guidebooks. We make you as comfortable and secure as possible so that they can concentrate on the fun stuff. From the moment you arrive, until your return home you’ll be looked after, with our devoted reps on hand 24 hours a day. Awards are a nice touch, but the specialty in our service is truly defined by our bond with the destination itself. With no acquisitions or mergers behind us we have strengthened purely through our customer service, at the same time contributing to the wealth and income of local communities in boosting eco-tourism. We are not simply selling a destination, but also helping towards its growth and acknowledgement. In such a fast paced world flexibility is the most helpful of things when going away. We offer a vast range of flight routes to all our destinations with accommodation and itineraries tailored to your requirements. Money is usually where things get tricky, but not with us. We pride ourselves on being honest and ethical, so when we say that our holidays are great value it’s the truth! Everything you’ll need to pay is explained upfront. The two most important things are that your holiday is protected financially and that the service is of a high standard. We make this a promise, the protection of our company offering our customers confidence and assurance. Firstly, all of our holidays are ATOL protected. 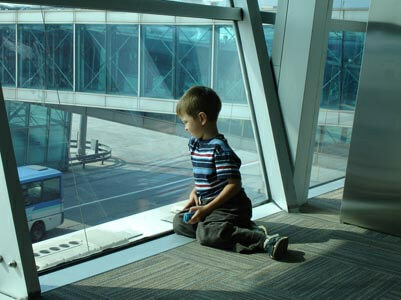 Direct Traveller is licensed by the Civil Aviation Authority (ATOL number 5819). This status serves to make sure that your money is fully protected, no matter what happens. Direct Traveller is also an ABTA member (ABTA member W9805). This ensures that we are in compliance with the standard code of conducts, making sure all our customers receive the most efficient service possible with emphasis on choice, value and quality. This is an extension of our dedication to customer satisfaction. Last, but certainly not least is our After Care. 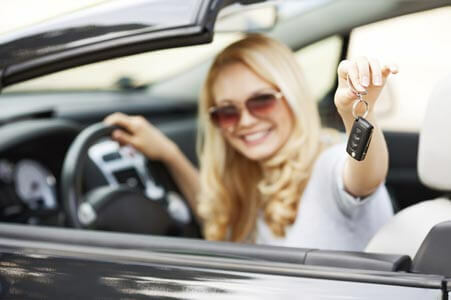 We support our customers right until they return home, making sure that you have consistent peace of mind. Year after year, Direct Traveller’s inspiring holidays and service win praise from travellers and travel professionals alike. From being one of the fastest growing companies in the UK, to having the highest customer service levels in our destinations, to that of entrepreneurship and innovation. Direct Traveller sets the standard.